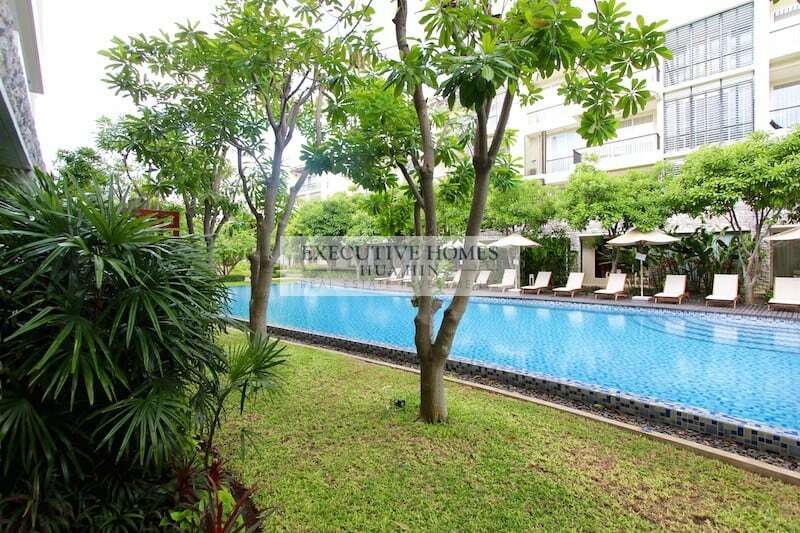 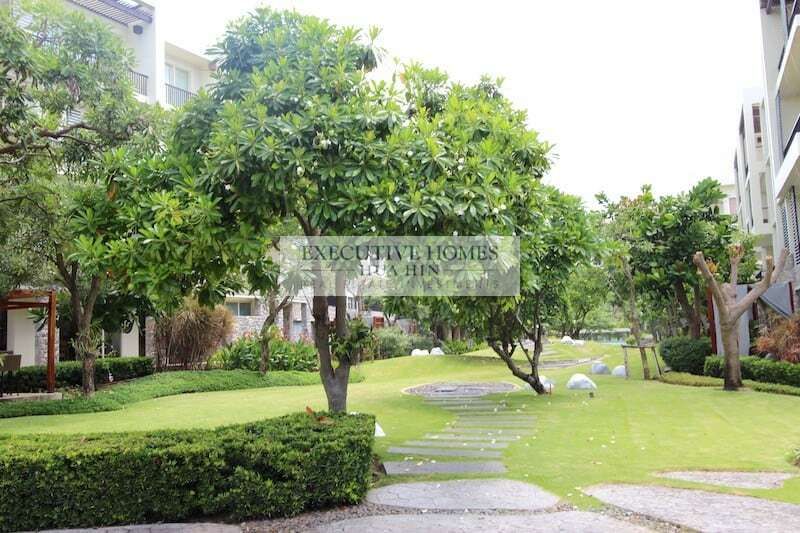 This is a beautifully furnished 2 bedroom, 2 bathroom Hua Hin condo for rent in Kao Tao with direct beach access. 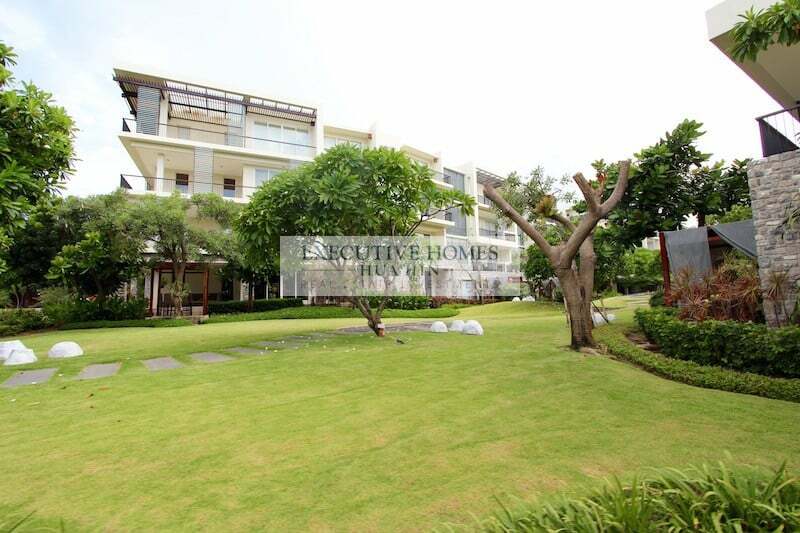 The condo development is the prestigious Baan Nub Kluen by renowned developer Sansiri, known throughout Thailand as producing great condo developments with one of the best reputations in the country. 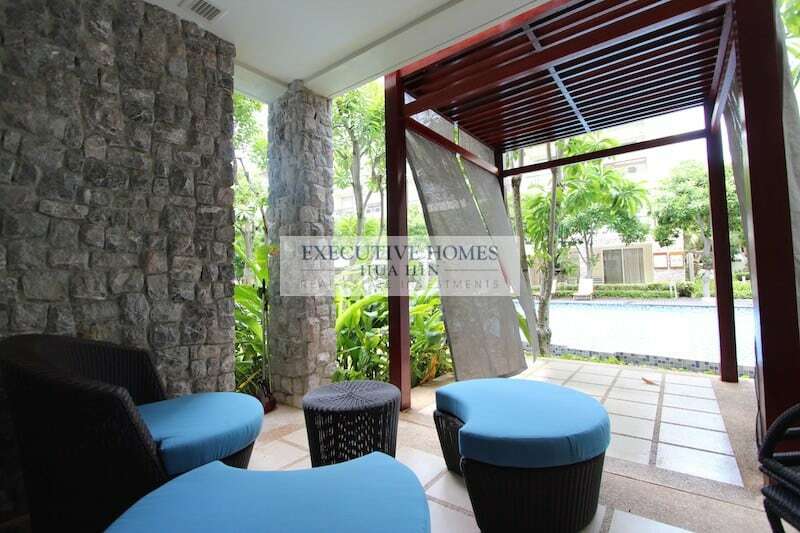 This condo unit enjoys a lovely living room with a spacious covered terrace and sala with beautiful pool views. 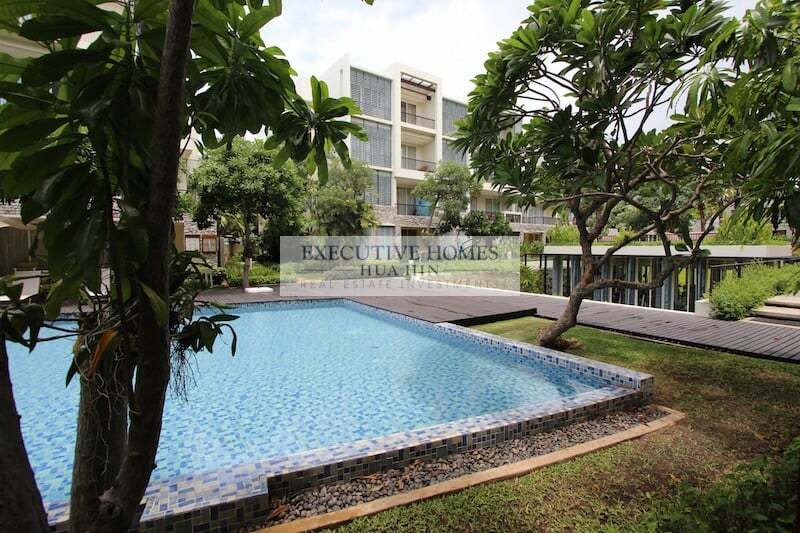 There is also direct access to both large communal pools, the fully equipped fitness room, as well as the stunning and popular Kao Tao beach. 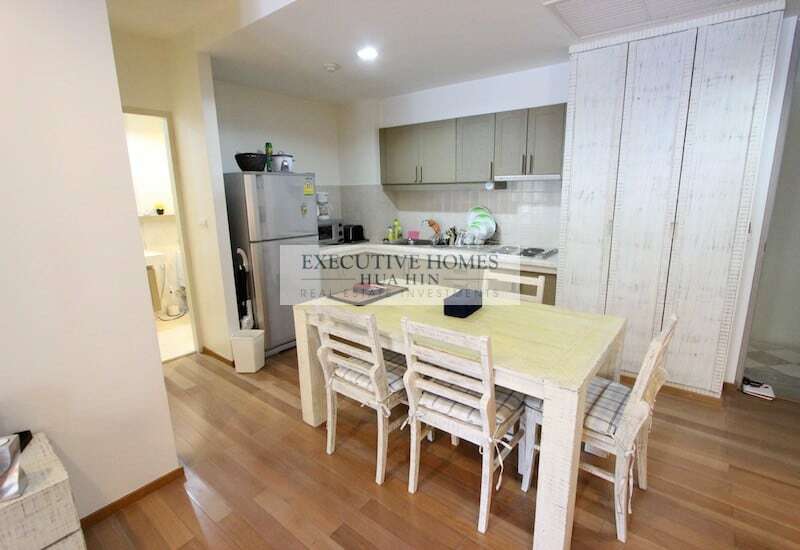 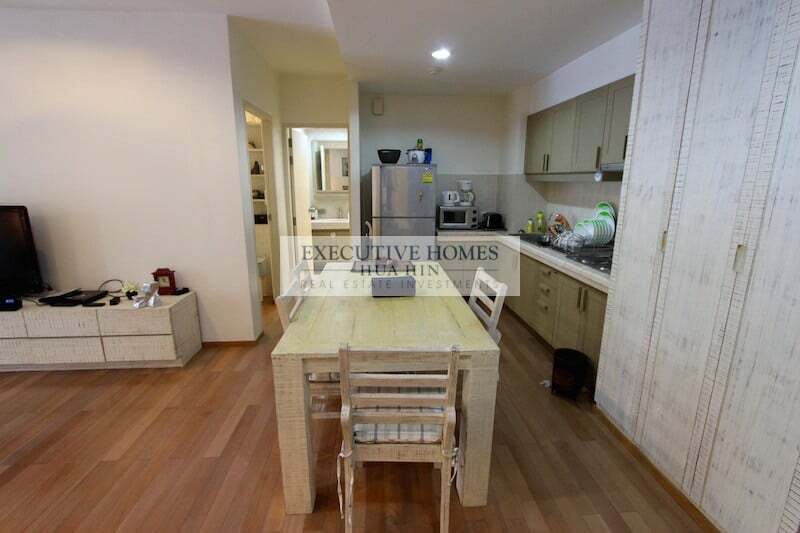 There is a full kitchen with 4 burner electric stove and all necessary appliances to enjoy cooking during your rental, whether for short or long periods. 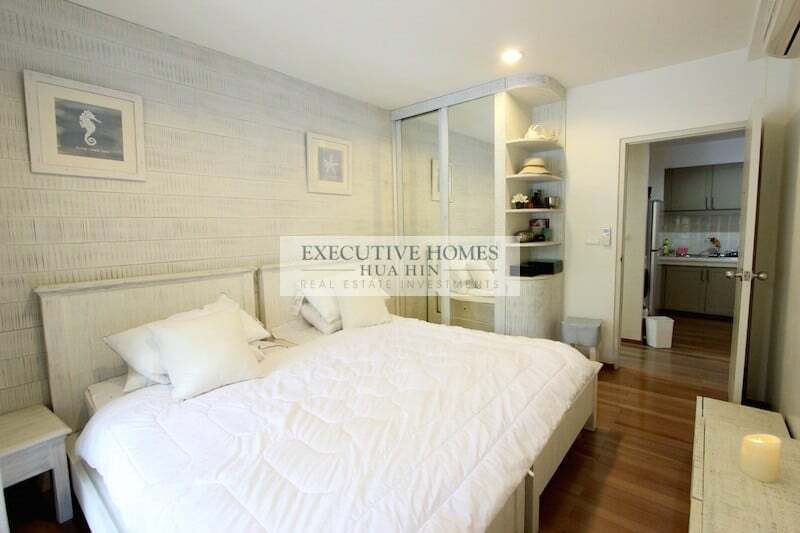 The master bedroom has a private, enclosed terrace off the master bedroom, ideal for cozying up with a good book in the mornings or afternoon. 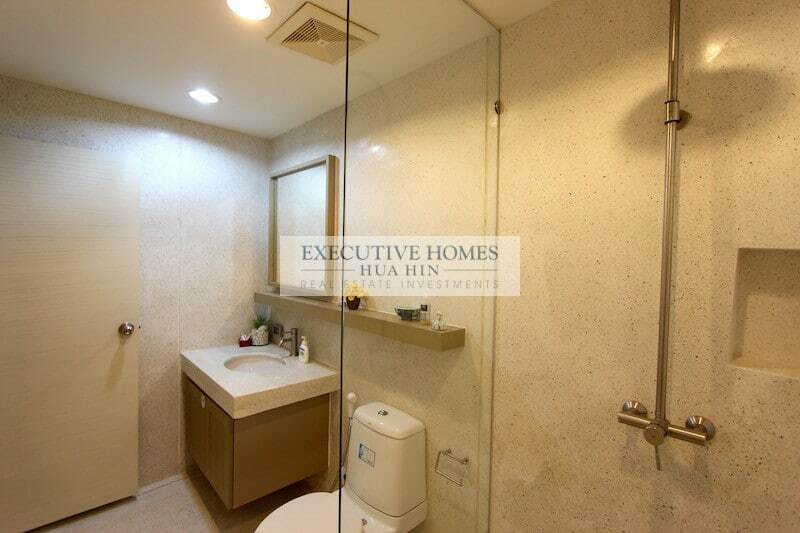 There is also an en-suite bathroom with shower and bathtub. 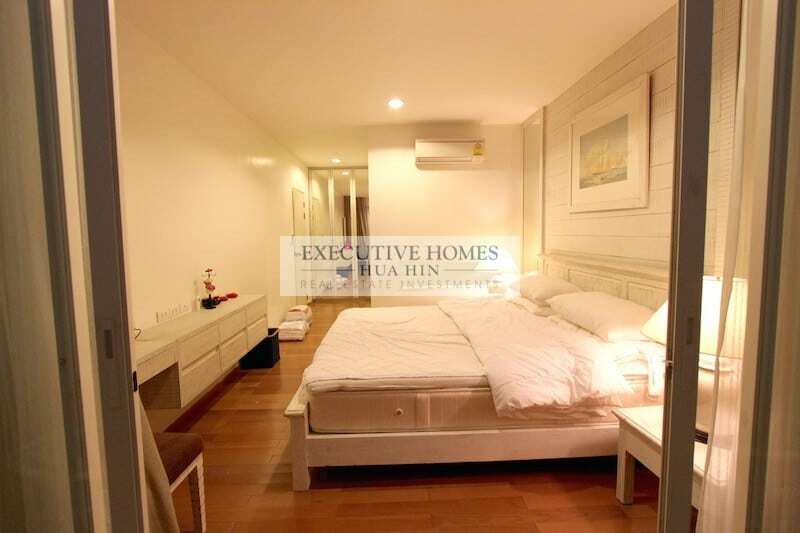 The second bedroom has access to the main terrace with nice pool view, and both rooms have built-in wardrobes and storage space. 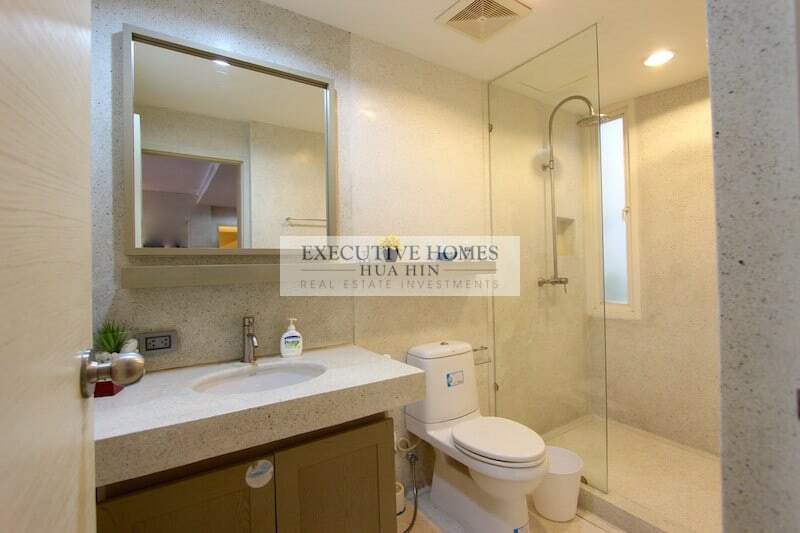 The second bathroom serves the guest bedroom as well as functioning as the guest toilet. 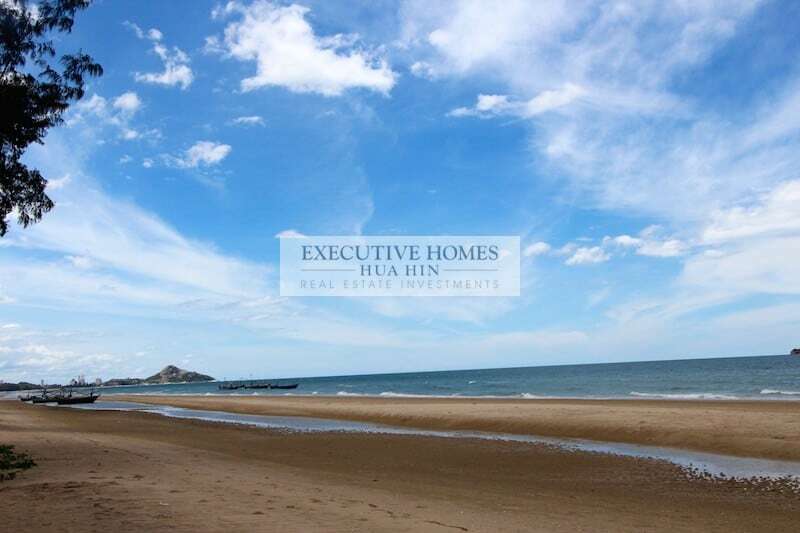 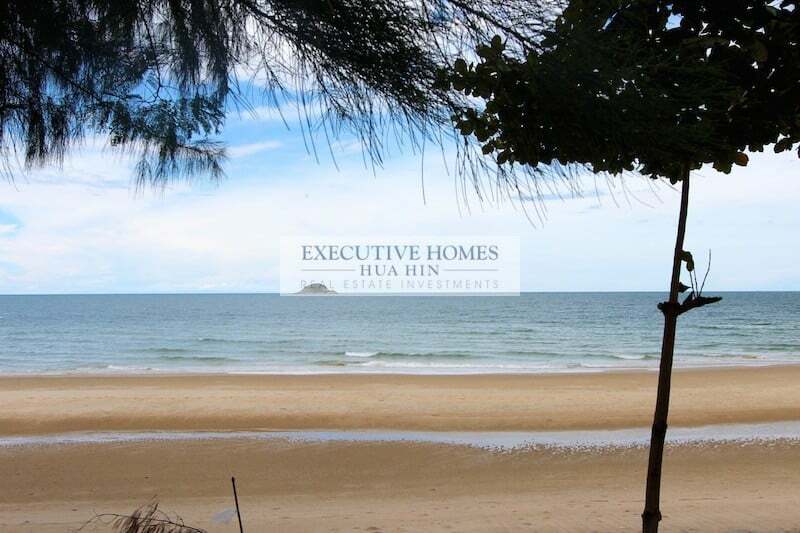 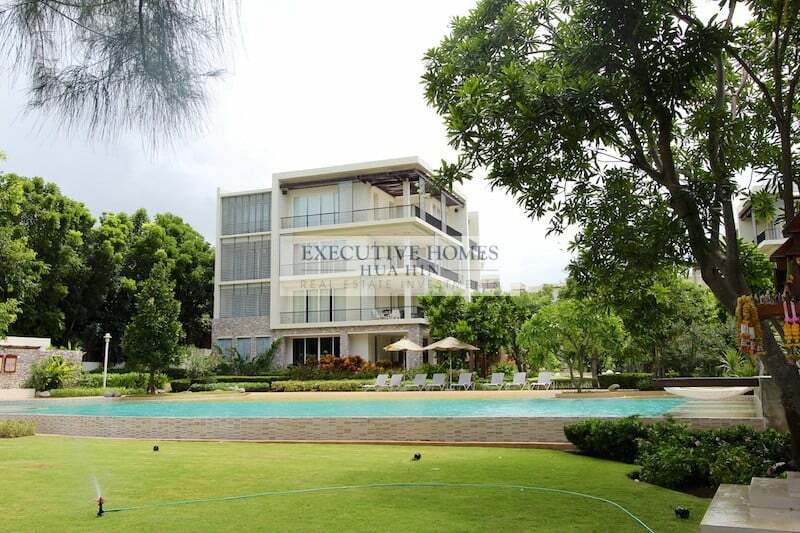 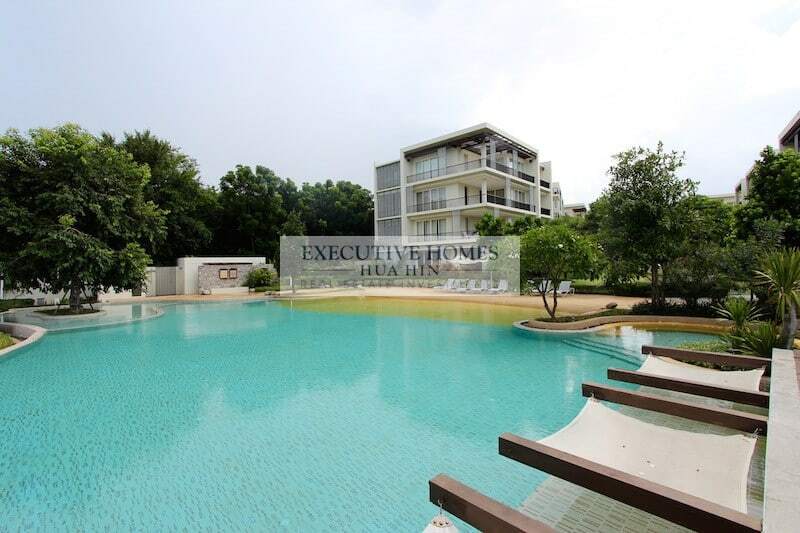 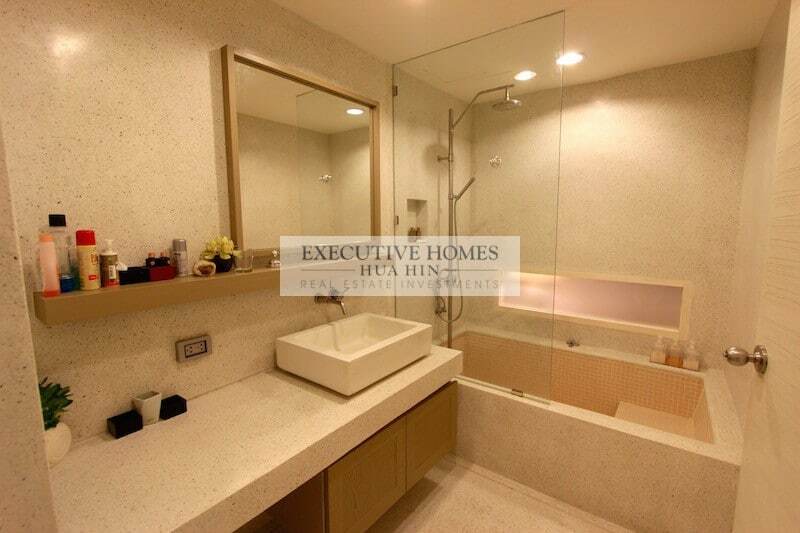 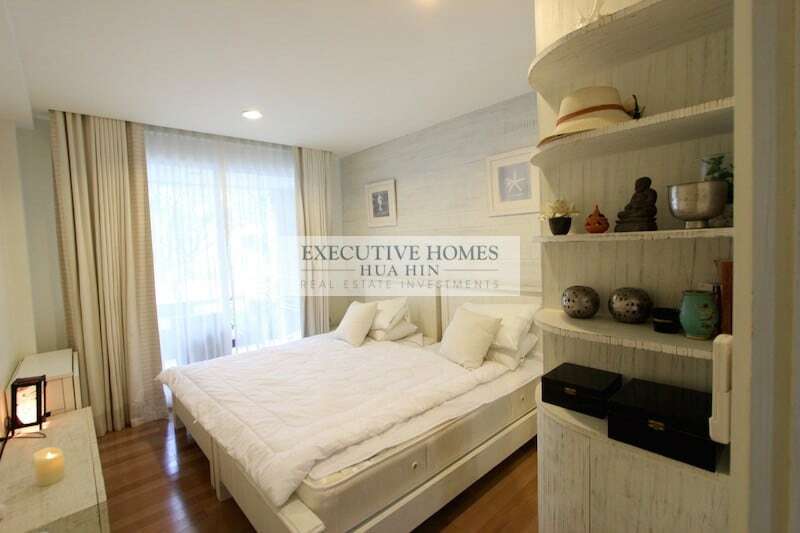 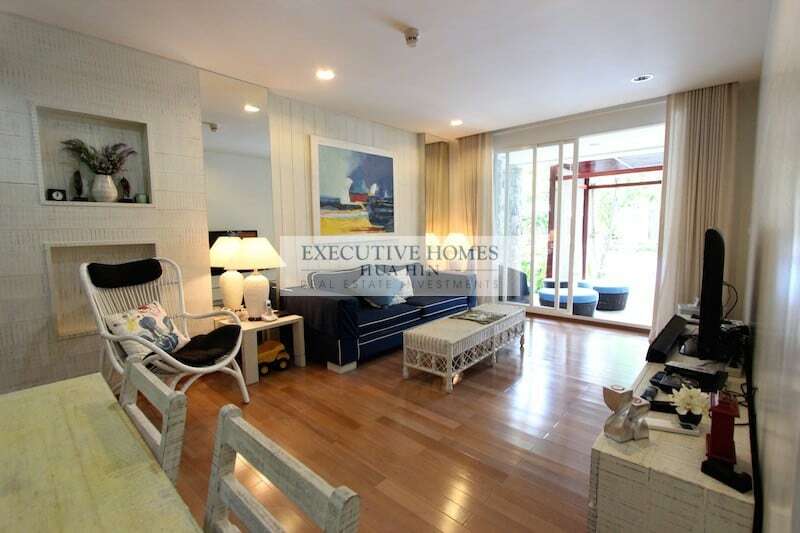 This Hua Hin beach front condo for rent is ideal for guests looking to stay in a luxurious, quiet and private location with the best quality amenities and away from the hustle and bustle of downtown Hua Hin. 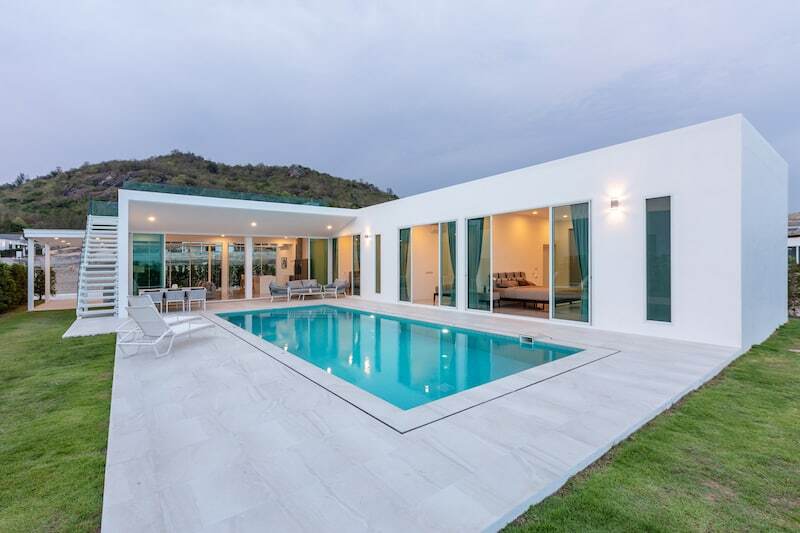 Nestled in the heart of Kao Tao, Baan Nub Kluen condo development is within walking distance of several nice resorts, many restaurants (Western and Thai alike), coffee shops and cafes, massage shops, and convenience stores. 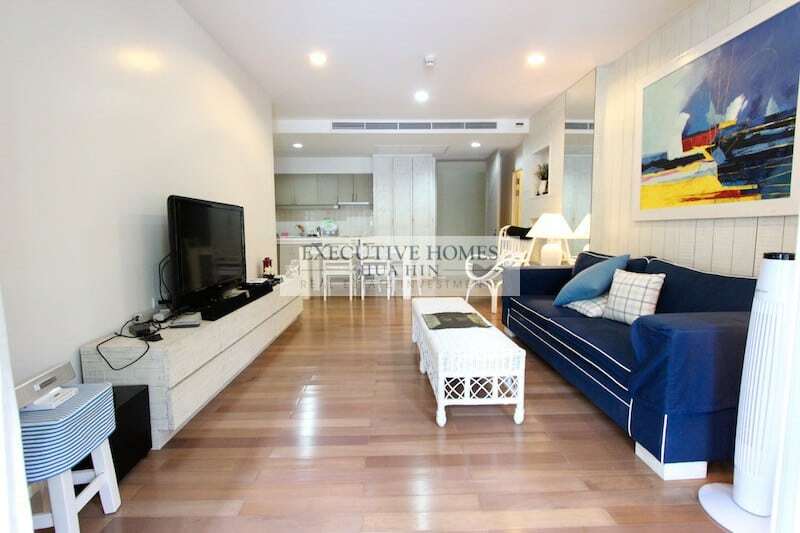 The development itself enjoys 24 hour security, an underground parking garage, 2 large communal pools (one directly overlooking the beautiful beach front), a nice fitness center, and lovely communal gardens and pathways for enjoying a quiet evening or early morning stroll.